How would it change your life to learn proven, practical strategies to build your ministry, avoid pitfalls, unnecessary mistakes and fulfill your God-given purpose? Be part of the inaugural Benny Hinn Institute teaching series, Foundations. This course offers 12 advanced sessions designed to deepen your understanding of God’s Word and features practical foundations from Pastor Benny’s storied lifetime of experience. The education, intimate counsel, and personal experiences you will receive in these classes will impact your life and ministry beyond measure. You will receive a certificate of completion with a special Founding Class seal. 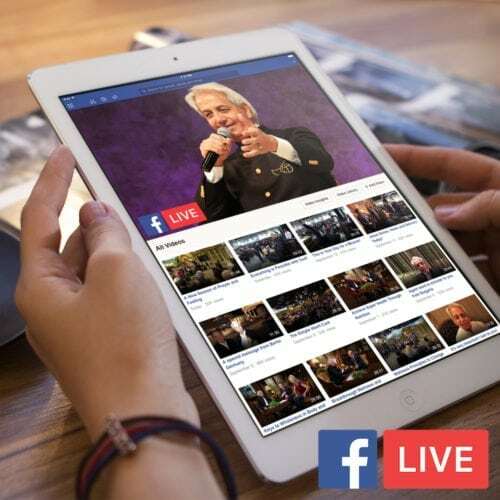 The Benny Hinn Institute is an advanced study on growing and protecting your ministry. 24 hours of study and insight based on Pastor Benny’s lifetime of experience. I can look back over the years since I became a believer in 1972 and was called to preach two years later, and see specific seasons when God let me know that He was starting something new, fresh and anointed. I can count these major mileposts on one hand. This is one of those times. Download the informational brochure now! I praise God for this, waiting since many days to see this kind of training program from Benny Hinn ministries. can any one guide me how to enroll in this program. Greetings, I will have to be a student to learn more.